It doesn't seem like long ago that we saw Hollywood style searchlights and velvet ropes on the corner of Summer and Park. I'll admit to a birthday dinner and brief detour onto the dance floor, but I didn't shed a tear over the departure of Twenty of Stamford. 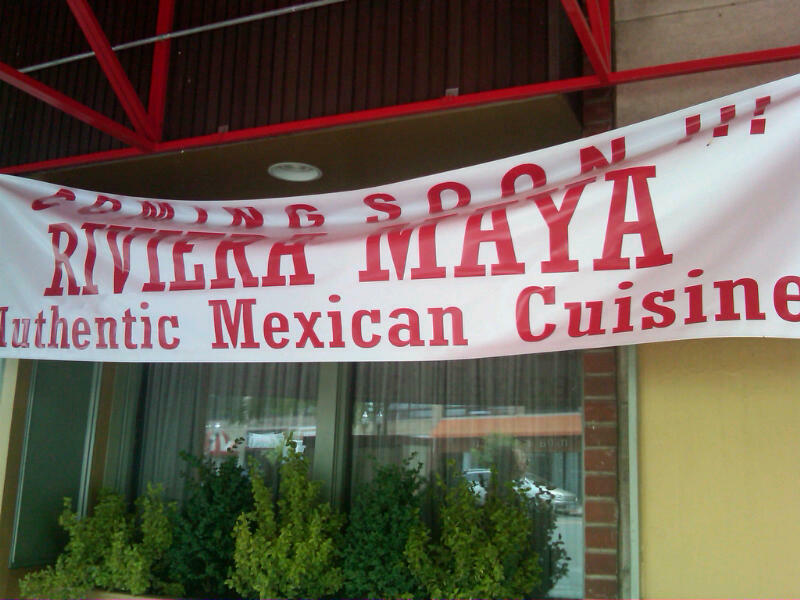 Get ready to welcome Riviera Maya, a new Mexican restaurant in that high profile space. Let's hope they make a mean burrito. They have a big space to fill! Um, isn't Maryann's Mexican just up the street? It is indeed...Mexican food fight!!!!! 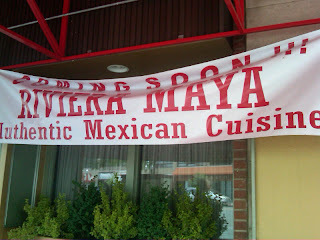 Riviera Maya is owned by the same guy who owns Guadalajara in Ossining. Guadalajara is very good, so we should be in for a treat. Maybe the two restaurants can have a guacamole-tasting contest. That location has been cursed from the get-go. Nothing stays there longer than a year or so - and I'm not sure why. Possibly, the bad food contributes. It's about time we had a hit there - I wish them the best. Last night, I walked by and there seemed to be a few full tables. We'll see.